Welcoming guests to your home or garden is now easier than ever! 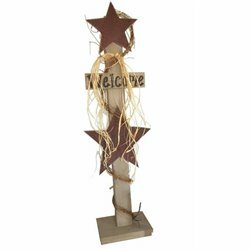 Make a bold statement with this Rustic Star Welcome Sign on a post! Works great indoors or outdoors!